This class is taught by Mrs Newman and Mrs Thornton. Mrs Brabant saw this collaged eagle at an art gallery recently and thought Class 2 could use the same idea to create some collaborative dragon art. We started off by painting brightly coloured patterns that we will cut into scale shapes. 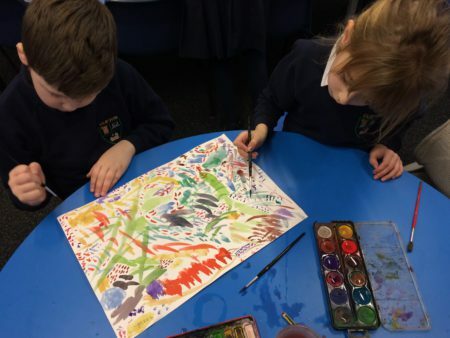 After carefully drawing colourful rockets and creating a textured moon the finished works of art were complete. Everyone has been very impressed with how effective they all look and how very different they all are. 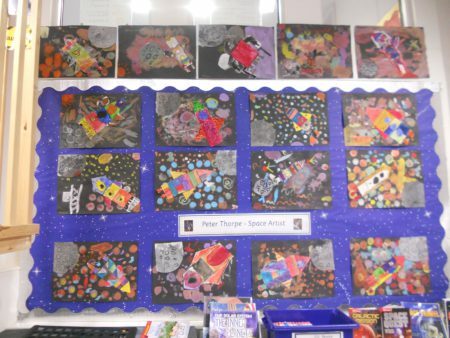 Class 2 have been looking at the work of Peter Thorpe and have started to create their own space pictures inspired by his art. 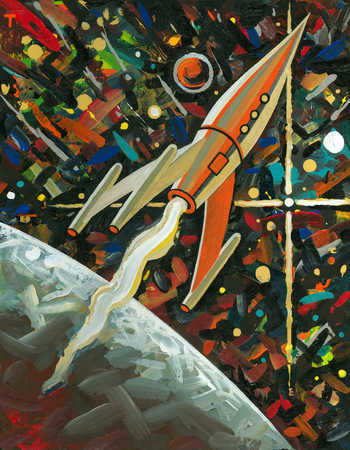 They thought of so many different ways to make their space background and everyone’s work was unique. 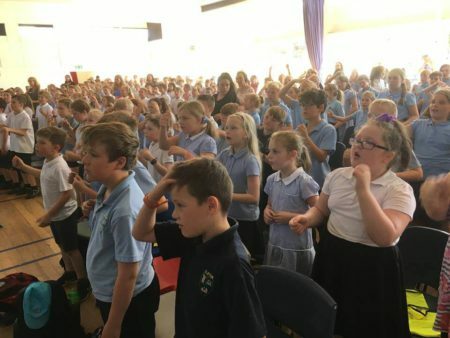 A fantastic trip to Sedbergh Prep School for a celebration of music,-‘The Big Sing!’ The children all sang wonderfully and thoroughly enjoyed their visit. What fabulous singers we have in Clifton! 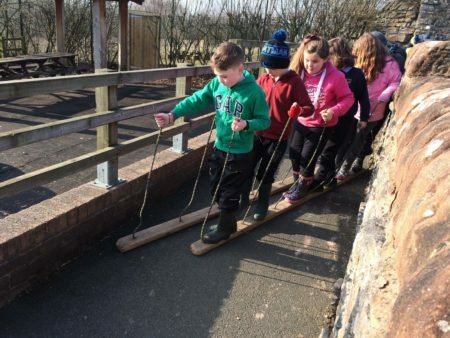 Class 2 were full of the joys of Spring on their first outdoor learning session this week. 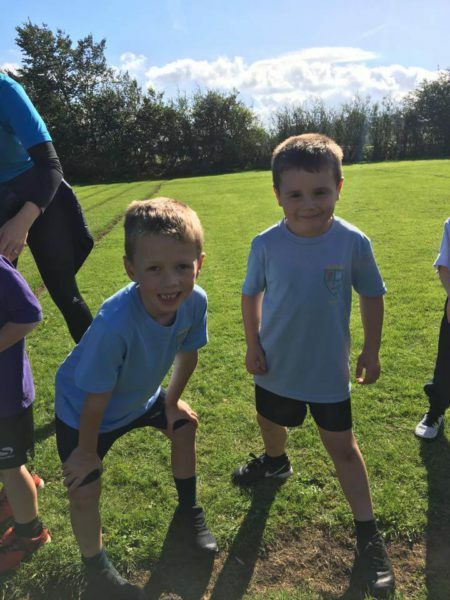 The sun shone brightly as the children worked together to tackle a range of problem solving challenges using lots of the 7 Cs of Clifton: communication, collaboration, commitment, confidence and curiosity. Judging by the huge smiles and enthusiastic cheering it was a successful afternoon and great fun! 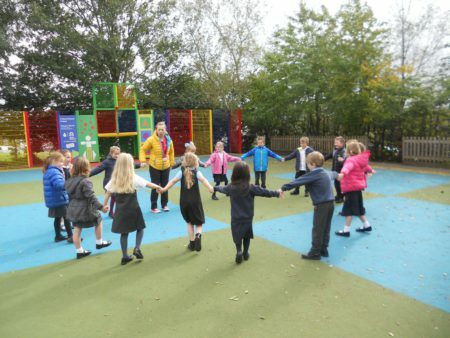 Class 2 were feeling the beat in their music session with Mrs Thornton on Friday. 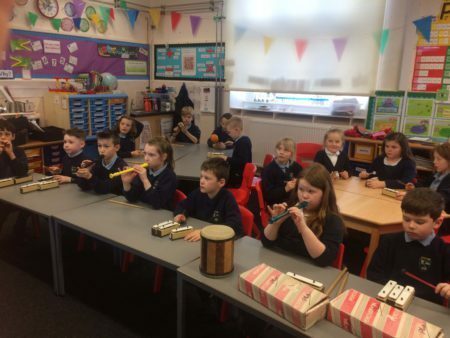 They sang, created their own lyrics and played musical instruments to keep the rhythm going. 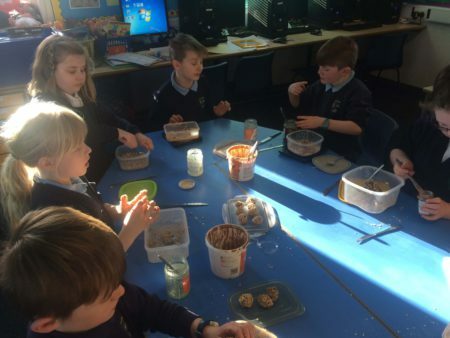 Class 2 children have been using some stone age ingredients to make some energy giving snacks. Lots of accurate measuring was involved using digital scales and measuring spoons but they soon found out that it was also a very sticky job. 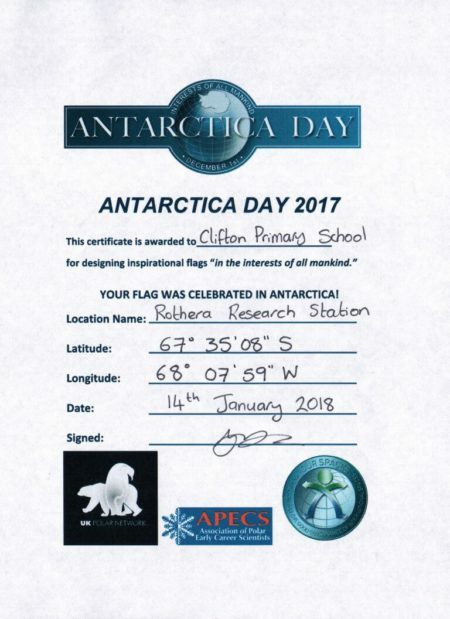 ANTARCTIC FLAGS PROJECT – UPDATE!